Saudi Arabia’s Crown Prince Mohammed Bin Salman has quietly seized executive control over several major Saudi businesses linked to officials detained in his corruption crackdown. In several cases, Salman reportedly forced the country’s wealthiest to hand over control of their companies in exchange for their freedom. 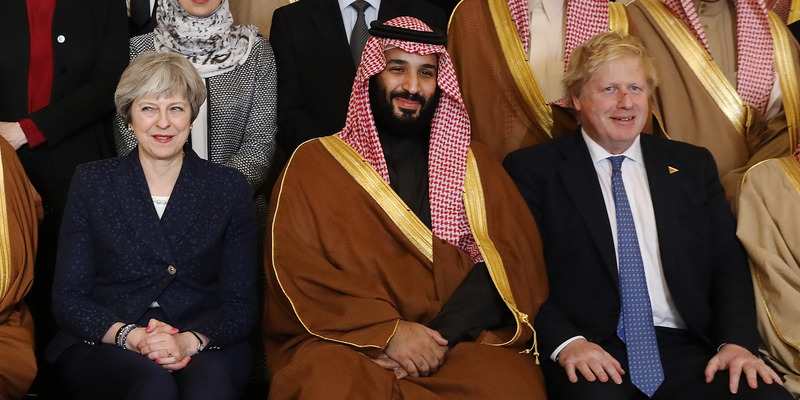 The 32-year-old Crown Prince’s enhanced power over Saudi businesses is part of his growing consolidation of power in the Kingdom. Saudi Arabia’s Crown Prince Mohammed Bin Salman has quietly seized executive control over several major Saudi businesses linked to people he detained in his corruption crackdown. The government has taken control of the country’s largest construction company, Saudi Binladin Group (SBG), and the Middle East’s largest private media company, MBC Group, as well as a major investment vehicle, which held stakes in firms including Twitter and McDonald’s. In January, the government appointed a five-person committee to oversee the SBG advisory board and make executive decisions on the company’s business dealings. The panel consists of two members of the bin Laden family and three carefully selected Saudi industry leaders, according to the Wall Street Journal. The Binladin Group is owned by one of the Kingdom’s wealthiest families; its chairman, Bakr bin Laden, was detained in Salman’s November graft along with several other relatives. Some speculate Salman’s special appointment of an advisory panel was linked to a deal to release bin Laden from custody. Last month, Saudi Authorities planned to seize ownership of a major stake in MBC Group, owned by mogul Waleed al-Ibrahim, who also found himself caught up in the corruption crackdown. Officials ordered al-Ibrahim to hand over his leading share in the popular media company in order to secure his release, the Financial Times reported, citing sources briefed on the deal. And most recently, Salman’s administration assumed veto power over investment decisions made by the high-profile billionaire Prince al-Waleed bin Talal, who was detained in November. Bin Talal was released in January amid an undisclosed deal, and remains the chairman of Kingdom Holding Company, which held stakes in major international companies like Twitter, McDonald’s, and the Walt Disney Company. As part of his release, the Kingdom Holding Company’s $US12.5 billion global investment decisions are now subject to approval by the Crown Prince’s court. The 32-year-old Crown Prince’s enhanced power over several major businesses are further testament to his growing consolidation of power in the Kingdom. The ambitious prince has already caused waves in the Kingdom with his widespread graft, which proved no leader was above Salman’s law, and reportedly forced the country’s wealthiest to hand over control of their companies in exchange for their freedom. Salman also began implementing the economic and social reforms outlined in his Vision 2030 plan, tightening his control over the country’s policies and imprinting his name on the country’s future. The royal powerhouse already controls Saudi’s military as Minister of Defence, which was handed to him in 2015 after his father King Salman bin Abdulaziz Al Saud came into power. While his father, not he, remains head of state, the young leader has firmly established his power by pursuing bold foreign policy moves which include ;negotiating a US nuclear power deal and meeting with Queen Elizabeth and UK Prime Minister Theresa May to potentially secure post-Brexit investment deals. And now that the Saudi royal has high stakes in the country’s infrastructure plans, media networks, and investment companies, he has cemented his place as the most powerful man in Saudi Arabia.